Can your eyes find the Sun? When the Sun takes flight. But I know I Love you. It does not take much Love. is a whole new World. from Recollections of Early Childhood”. you’ll certainly be surprised by a few! Workers in microwave popcorn factories have actually developed an extremely rare form of lung cancer from inhaling fumes. If that isn’t enough of a reason to avoid the stuff, here’s another: the lining of the bags contains perfluorooctanoic acid (PFOA), a substance that has been linked to several other forms of cancer and infertility. 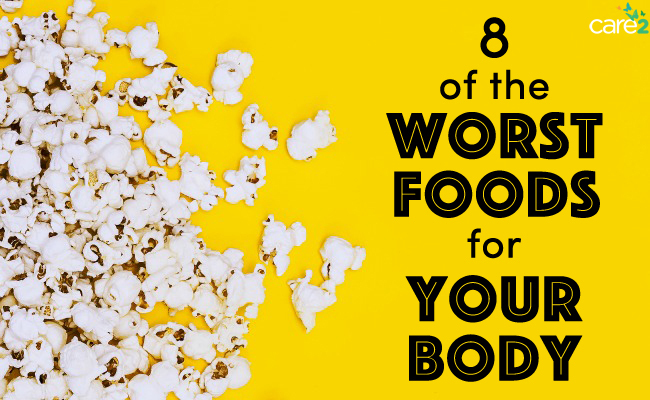 Plus, so many microwave popcorns are loaded with bad fats and sodium. Homemade air-popped popcorn can actually be a health food, believe it or not, so stick to that for your next movie night. Last year, apples won the dubious honor of being the most pesticide-laden produce. Because they aren’t very resistant to pests, apples tend to get sprayed more. They’re also treated with pesticides to extend their shelf life. If you’re an apple lover, always, always, always buy organic – or don’t buy ‘em at all. Your body will thank you! Several studies have directly linked soda consumption to higher instances of cardiovascular disease, cancer, depression, obesity—you name it. Diet soda isn’t off the hook, either. 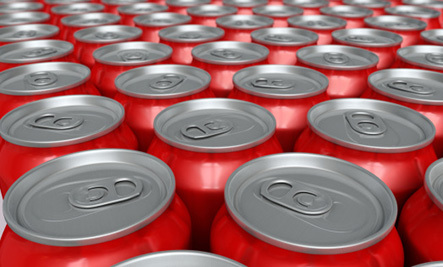 Here are 9 Disturbing Side Effects of Soda. 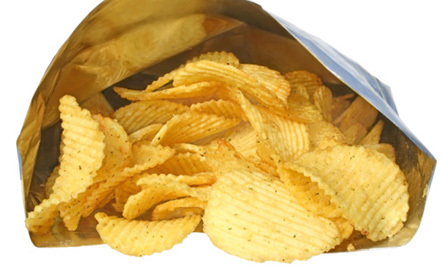 Many brands of chips contain unimaginable amounts of sodium and fat—one bag can often be more than a day’s worth. But it’s not just the nutritional concerns to think about here – chips also contain acrylamide, a chemical that comes with an increased risk of several forms of cancer and infertility. You can also find the scary stuff in french fries. Aside from being far less delicious than the real thing, canned tomatoes have the added “perk” of bisphenol-A (BPA) on the cans’ lining. This is the stuff nightmares are made of: BPA has been linked to fetal abnormalities, heart disease, obesity, diabetes, thyroid issues and even cancer. It’s been banned for use in baby bottles, and overall bans are being considered nationwide. 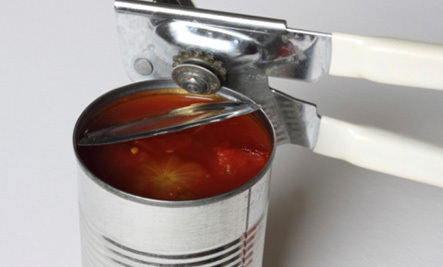 You can get up to 50 mg of the stuff from canned tomatoes; the acidity makes them more difficult to package than most products, so a safe alternative has been difficult to find. Your best bet, though, is to avoid them all together. Stick to fresh tomatoes or, if need be, tomatoes packaged in glass jars. 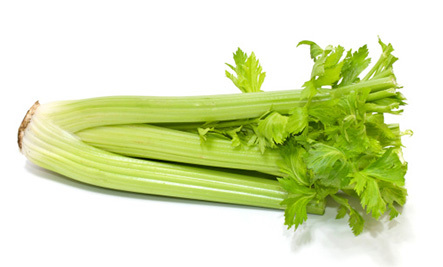 Celery is one of the dirtiest of all vegetables—the Environmental Working Group has founded dozens upon dozens of different pesticides on the non-organic stuff. As with apples, go organic or don’t go at all. Many farmers give their cows artificial hormones so they will produce more milk — good for their bottom line, not so good for our health. These hormones lead to higher rates of another hormone, IGF-1, which is thought to increase instances of cancer in humans. Look for milk that is certified organic, or labelled with either BGH-free or BST-free. If margarine didn’t have any food dye in it, it’d be a delightful shade of gray. If that isn’t evidence enough, what is?! Though margarine is often thought of as a healthier version of butter (there’s no cholesterol, right?) it’s also a wonderfully terrible source of trans fats – stuff that does, indeed, raise your cholesterol. Here’s your excuse to go back to the real stuff – or, of course, olive oil!